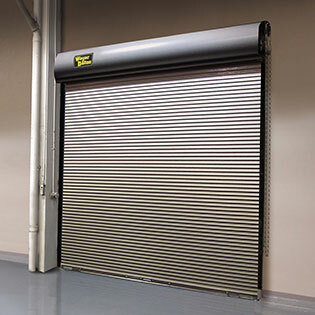 Wayne Dalton’s Model 926 rolling service door provides an economical and secure solution to protect facility openings. These doors are composed of flat-faced slats that provide a natural watershed, helping to reduce corrosion. Slats are designed with free-acting interlocking joints that permit easy articulation when the door coils.